Wrap the cocoa instant coffee, milk powder FA100 | 5_productsindex.html_Sheet1.csv | FUJI MACHINERY CO.,LTD. A powder filling machine with an auger screw system. Combining with a feedback device allows for application to fluctuations in powder weight. 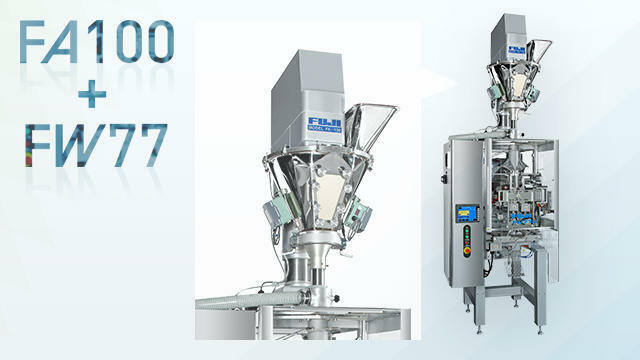 Can be systematized as a vertical powder packaging machine by combining with FUJI MACHINERY's vertical pillow machines.